This is an old process (pre 1977) and requires special care and handling. The film is processed as color negative; prints and CD (digital .jpg scans) are made from any images. Because the film is old we do not guarantee that we can get pictures, but usually about 80% of the films we process have good pictures. Some films are faded because of color dye deterioration. Your film will always returned even if we are unable to obtain images. Because the film is old we cannot guarantee results and no refund is available regardless of the results. Cost for development, CD, and prints is US$36.50 per roll with return shipping and handling $6.00 per order (not per roll). Therefore, one roll is $42.50, two rolls is $79.00, three rolls is $115.50, etc. Free shipping on orders of more than ten rolls. International return, please add US$3 for shipping. This film is processed on a volume basis, so turn around time varies. Please allow between six and twelve months for return to you. Because of the age and nature of these films and processes, we do not offer any guarantee. No refund is available regardless of results. Service times subject to change depending on volume, machine, and material availability. Our guarantee to you is that we will do our very best to obtain your memories and the best possible image from your film. Additional types of C-22 films we can process: Ansco Color, Brilliant film, FK Color, Furicolor, Inter Color, Karanzcolor N21 or N19, 3M Color Print, Negra Color, Oga Color, Prinz Color, Revue, Sakuara, Sears Color, Tura Color, Cornet, Valcolor, Twin Pix, Global CN100, Shell, Ferrania Color Film, @M NM64, Titan, Pal-color, Extra Spool, Milyerson, Nat'l. Hdqrs. Box 7529 Phil.,Pa., Process 22, Paragon, Thrifty Color Neg, Porst Color, Teta Color, Ring Foto, Citcolor, Revue Colour 2000, Trifca MK VI, FCA, Fotop Colour, Color MN19, Directacolor, Picture Pac Color Picture, Montgomery Ward Color Print ASA80, Hanimex Vistacolor ASA100, 22, Ektacolor Type S, Boots Color Print. 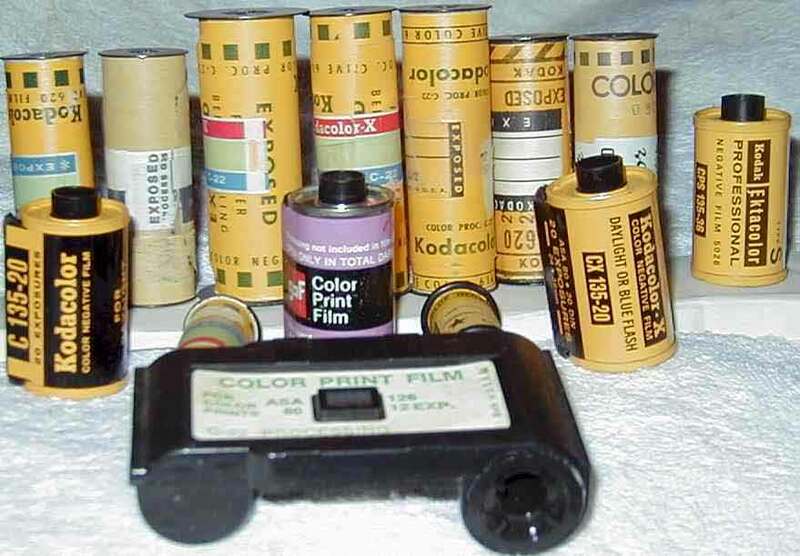 This type of film, along with Verichrome, is the type most frequently found in old Kodak Brownie cameras. Send mail to info@rockymountainfilm.com with questions or comments.